As photographers, we are inherently quite difficult people to buy presents for at Christmas & Birthdays. We normally know exactly what we want, and we’ve probably already bought it! That doesn't mean that you can't find some excellent and thoughtful gifts this Christmas though. So if you’re looking for some inspiration for a gift for the photographer in your life, check out these great Christmas gift ideas. 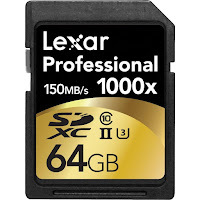 This High-Speed memory card is compatible with shooting 4K video on the latest video-capable digital cameras, with a read transfer up to 1000x (150MB/s) and UHS-II technology. It's at the upper end of this price bracket, but would make an excellent gift for any photographer - we always need more memory! 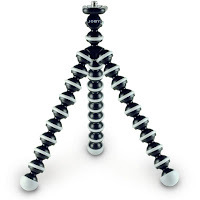 The original Joby Gorillapod, and still a fantastic, innovative, versatile tripod. Since releasing the Gorillapod, Joby have gone on to make some truly brilliant and useful mounting gadgets for photographers, but the Original Gorillapod maintains its position as an essential item for a lot of photographers. It will happily hold a compact camera or a mirrorless camera with a kit lens & is easy to pack away and light enough to carry with you wherever you go. It's something that not a lot of people think about, but having somewhere safe to store your spare DSLR batteries when they're not being used is essential. A holder like the Think Tank DSLR battery holder will keep them away from other gear and prevent the contacts from getting scratched. When it comes to carrying your valuable camera gear, there are few ways more secure and reliable than a Lowepro bag. 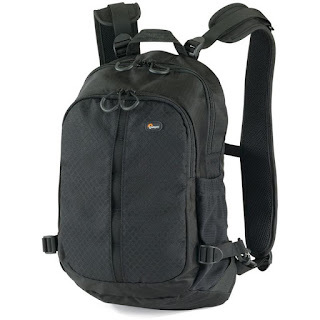 The Lowepro S&F Laptop Utility Backpack 100 AW is a fantastic small and affordable backpack that will happily carry a compact DSLR or Mirrorless camera kit along with a 13" laptop or tablet and a smartphone and other personal items. If you want to be able to carry your photography equipment around without drawing attention to it, then the S&F Laptop Utility Backpack 100 AW from Lowepro is subtle and discreet and will blend in to your surroundings. Just as keeping your batteries safe is essential, we think keeping your memory cards safe and secure is even more important. 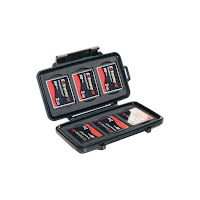 That's where the Peli (makers of the renowned Peli Case) Memory Card Hard Cases come in - they're available for either SD cards or CD cards and will make sure your cards aren't damaged before or after shooting. 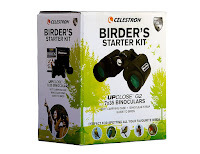 These Celestron Upclose 7x35 Binoculars are high performance optics in a robust housing at an affordable price. As it says on the box, they're perfect for anyone just getting started with Birdwatching or wildlife photography, they're also water resistant and come with a soft carry case. There's not really much to be said about the Manfrotto PIXI mini-tripod; other than: it's brilliant. Really, it is. 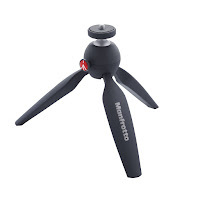 Manfrotto, makers of some of the world's best tripods and bags, have turned their eye to smartphones and compact cameras and have come up with the PIXI mini tripod. 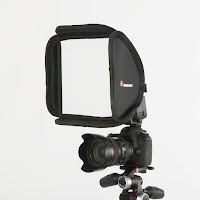 Not only is it a super-light, easy to use tabletop tripod, but it can also be used as a handle for recording video when used with the Manfrotto Smartphone Clamp which slides to expand and tightly holds any modern smartphone, and with two screw mounts can be easily mounted on the PIXI (or any other tripod for that matter). 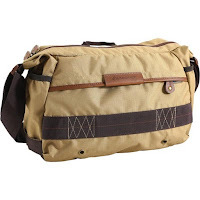 Designed for anything from the urban jungle to the real one, the Havana 36 Shoulder camera bag from Vanguard will hold a full-sized DSLR camera with a lens attached, plus 1-2 extra lenses. Or alternatively it'll carry a Mirrorless camera with lens attached, plus 2-3 extra lenses and a flashgun. With a zippered main compartment and padded insert that you can remove, you can also use the bag as a normal everyday bag. 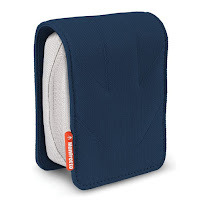 There's also a slip-in pocket for a tablet or notebook up to 11.6". Lastolite make some of the best light modifiers, softboxes, and lighting kits on the market. The Speedbox Compact 22x22cm is a quick set-up pop-up softbox that attaches to a speedlite flashgun and will soften the flash light to give gorgeous, flattering images. It's ultra-portable and features removable outer diffusion layers for unrivalled softness of light from such a small softbox. Spudz microfibre lens cleaning cloths are amazing at keeping lenses clean and scratch-free. 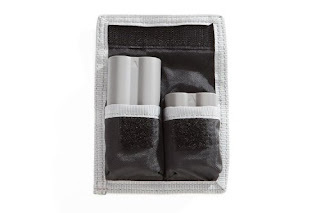 They come in a convenient storage pouch that they're attached to, so when you're done you just stuff it back inside. It's also got a handy clip so you can keep it on a key ring or anywhere else convenient. 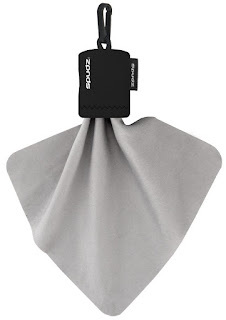 The Spudz microfibre cloth is great for cleaning anything from high-quality camera lenses to LCD screens - the photographer in your life is guaranteed to thank you for adding this invaluable gadget to their kit bag.